Shrimp Tejas, a spicy appetizer from Union Supper Pub. Photo by Aleah Kidd. Winter has truly hit the peninsula and we are now in the height of hibernation. Many businesses and restaurants have opted to shutter up for the remainder of winter for some savored downtime before spring nears. This means restaurant selections have narrowed and hours have slimmed, but you can still venture out and find plenty of delectable dining opportunities. Here are some tried and true options that are perfect for a Valentine’s date or simply a scrumptious night out. It’s called a supper pub instead of a supper club because it has the classic supper club feel, but with a modern twist on your standard pub fare. I was able to sample several of the menu’s most popular selections and was intrigued by the Creole flavor influences. 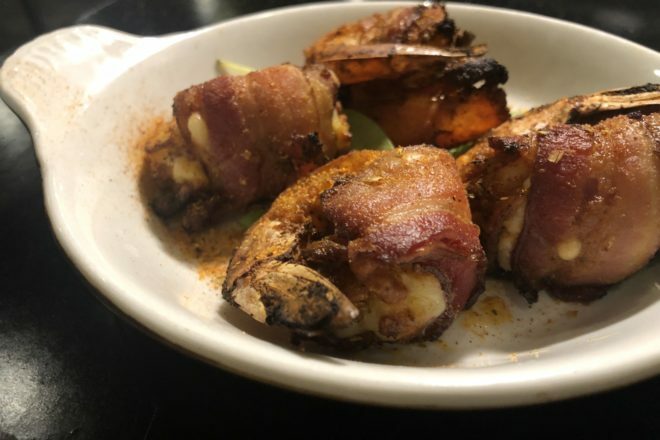 For a bit of spice, try the Shrimp Tejas: cajun spiced and cheese stuffed-jumbo shrimp wrapped in bacon and served with a sriracha aioli. Or if you lean more toward mild and creamy, the Union Alfresco introduces a rich sun-dried tomato pesto on a bed of fettuccine with peppers and mushrooms for a dish that’s both savory and summery. Comfort food is found with the Beef Burgundy at CHOP. Photo by Aleah Kidd. This is the first winter that CHOP has stayed open all season and it’s a welcome addition to the winter dining scene in Sister Bay. The location at the corner of Highway 42 and Mill Road features a lower and upper level dining area and a well-stocked bar that specializes in bourbon and has a rotating craft cocktail list. 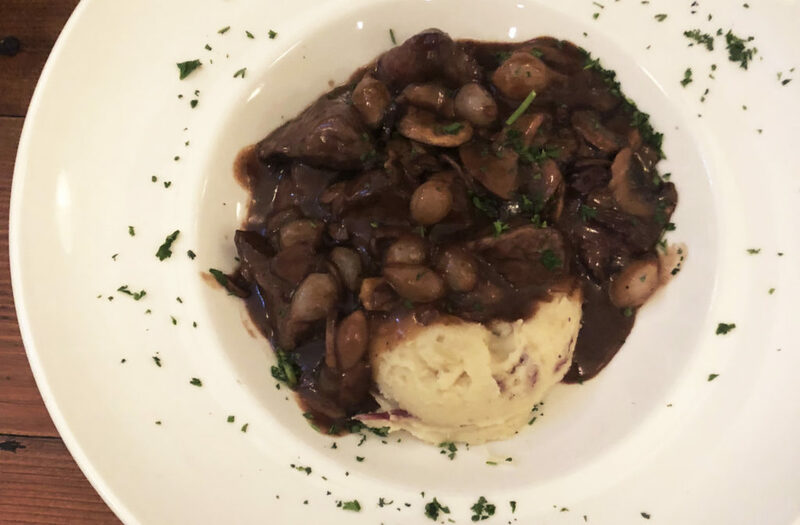 The Beef Burgundy stood out as a classic comfort food option, done deliciously with tender cuts of beef, mushrooms, pearl onions, red wine demi-glace, and a choice of potato. Another tasty, yet not-very-common, item is the Chicken Schnitzel, which is a shout out to the hearty German-style of cooking. It’s a panko-breaded chicken breast, fried and served with lemon citronette, capers, and a side of Minnesota wild rice. The zip of the citrus and salt of the capers balances the rich poultry. The Casual Night serving of Braised Rabbit Carbonara at Whistling Swan. Photo by Aleah Kidd. 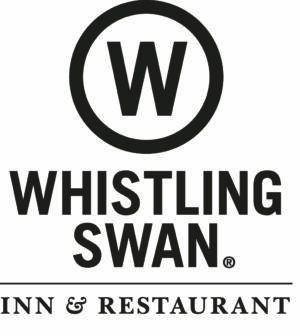 Valentine’s Day falls on a Thursday, but if you’re willing to celebrate a day or two early, the Whistling Swan in Fish Creek hosts what they call “Casual Night” on Tuesday and Wednesday. This means the menu is pared down from the standard fine dining fare, but the wow factor is still high. 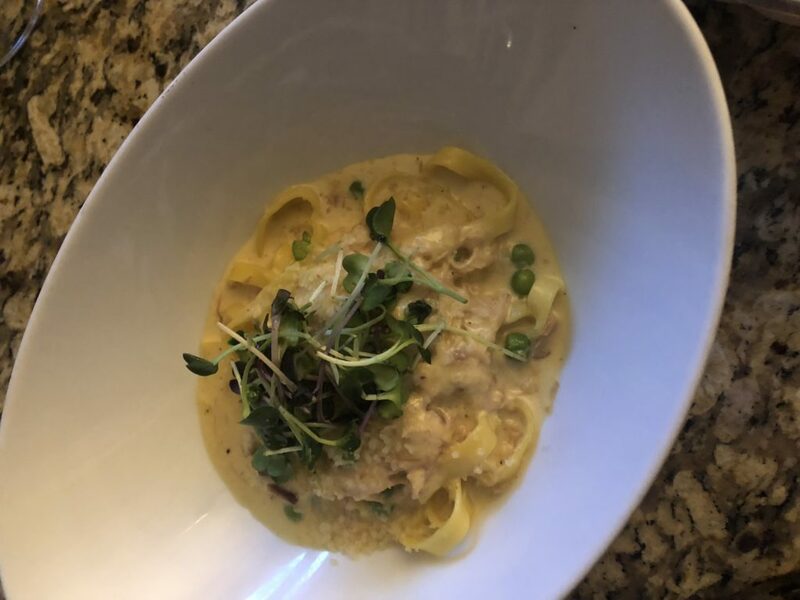 A standout entree is the Braised Rabbit Carbonara, featuring housemade fettuccine, peas, crispy pancetta, shaved sarvecchio, egg yolk cream, and topped with micro radish. It’s a fantastic way to explore the menu without having to wear your Sunday best. 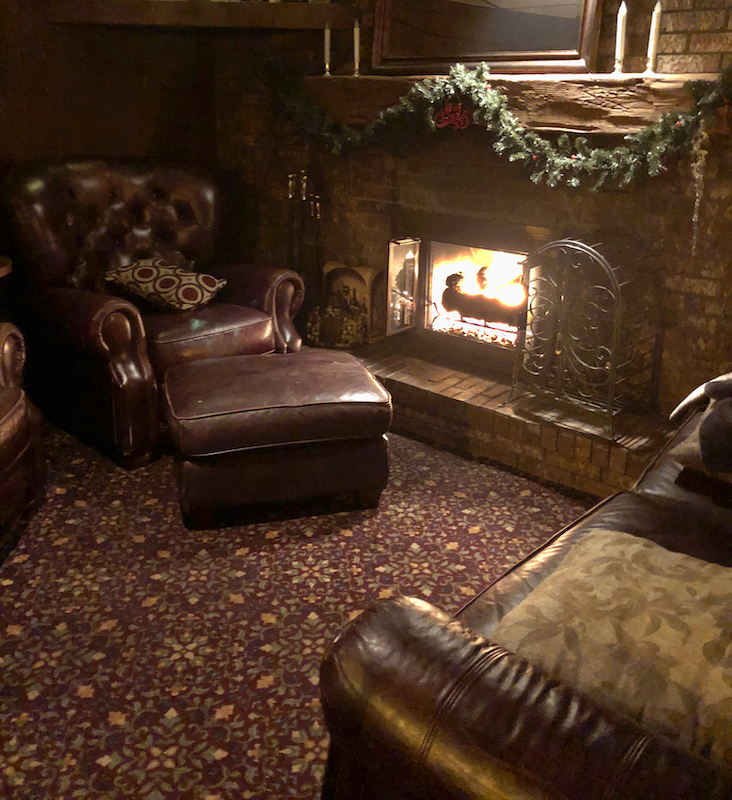 The inviting fireside lounge at English Inn. Photo by Aleah Kidd. Before you even enter this Fish Creek restaurant, you feel transported by the two knights on horseback hoisting torches lit with flickering flames. Inside you’ll find yourself in a warm, wood-detailed space with low lighting and several fireplaces casting off warm shadows. The menu is of the upscale supper club variety, featuring steak, seafood, chicken, pasta and plenty of side and add-on options. The must-try item is the spinach salad, which uses a hot bacon dressing that you may want to stock up before heading home it’s so good. Luckily they sell jars just for that reason. Don’t forget to end the meal with a Pink Squirrel or Grasshopper. 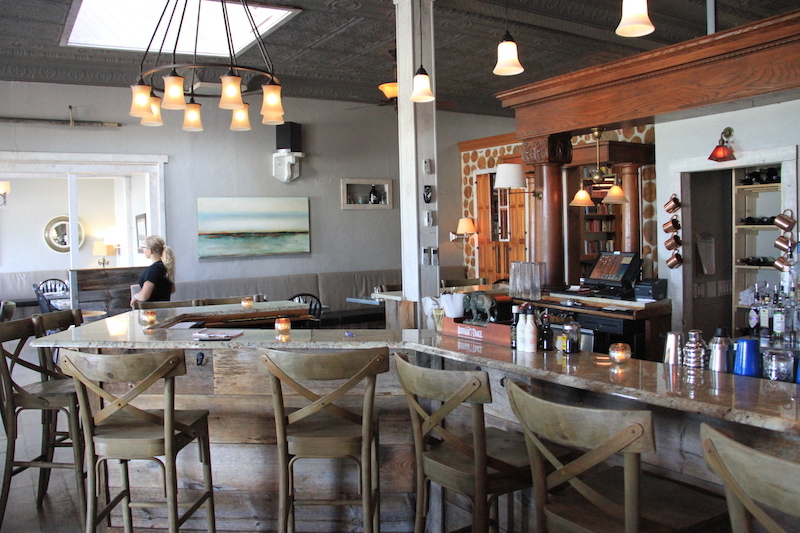 Chives in Baileys Harbor specializes in fine dining and wine. Photo by Aleah Kidd. 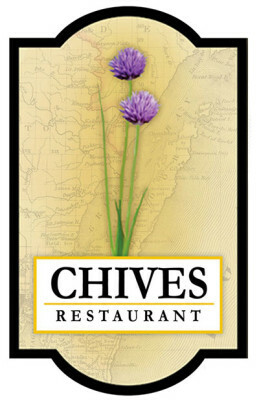 Fine dining can be found year round in Baileys Harbor at Chives. You’ll find an elegant dining experience focused on fresh and seasonal ingredients. Leave time in your itinerary to have a glass of wine or craft cocktail before dinner because the wine and drink list is impressive. This summer they added a wine cellar to complement their in-house Certified Sommelier, Lucas Schoenfeld. Expect to find delicious favorites like steak, mussels and fish, as well as inventive plates such as chicken Marsala. The modern space has a fresh coastal feel, perfect for a special night out.